On board the spaceship Ortega, the pilot, Rafford, is murdered by persons unknown and the ship's controls are smashed. Some time later the Liberator comes across the drifting Ortega and Blake decides to help. Boarding the ship, Blake, Avon and Cally discover the dead pilot. The rest of the crew have been knocked out with gas pumped through the ventilation system. With the crew revived, their commander, Dr Kendall, explains that he and his crew,are returning to their home planet of Destiny, having acquired a rare neutrotope that will save the planet's food supply from a deadly fungus. However the element is extremely valuable and it seems that someone in the crew is trying to steal it. One member of the crew - Dortmunn - is missing and a life rocket has been launched. It appears that the chief suspect has escaped although the neutrotope has not been taken. With the Ortega damaged, Blake offers to transport the element to Destiny. 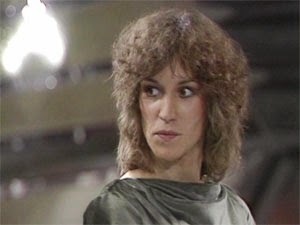 Meanwhile Avon and Cally stay behind to effect repairs and conduct an investigation as Avon is convinced there is more to the mystery. Over the course of the investigation, Avon and Cally find missing crewman Dortmunn who, it turns out has also been murdered. Cally also finds what turns out to be homing beacon in the quarters of one of the crew members. Meanwhile, the Liberator travels through a meteorite storm en route to Destiny. The buffeting from the storm causes the box containing the neutrotope to fall to the floor. When Blake opens to the box to see if the neutrotope has been damaged, he discovers that the box is empty. Someone on the Ortega had switched boxes and the neutrotope is now in the hands of the murderer. The Liberator races back to the Ortega. Avon and Cally have discovered the identity of the murderer who is now planning to rendezvous with another ship and escape with the neutrotope. Before the other ship arrives, the Liberator returns and evacuates everyone - except the murderer. Blake plants explosives on the Ortega which explode when the murderer's accomplices dock with the ship. The Liberator, with the surviving Ortega crew members, continues on to Destiny. Blake: Decides to help the crew of the drifting Ortega without any hesitation or, for that matter, any consultation with his fellow crew members. Takes charge of the situation when all the crew members on board the Ortega have been revived and manages to convince Dr Kendell to allow him to transport the incredibly rare and valuable neutrotope to Destiny. Perhaps Kendall would have been less willing to hand it over if he'd known that Blake and his crew were convicted criminals, but Blake is careful not to mention this. 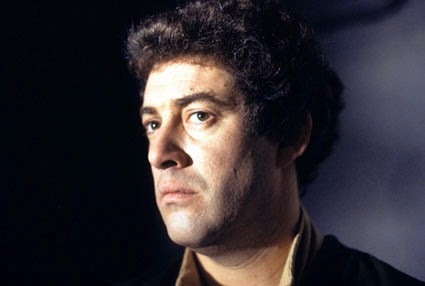 Avon: Takes over the murder investigation after Blake leaves with the neutrotope. He doesn't care in the slightest for the crew or their planet's situation. He is simply interested in the mystery. At one point in the episode he punches a woman and admits to enjoying it. Cally: Becomes Avon's side kick in the murder investigation. It is she who undertakes most of the actual detective work, finding the various clues and questioning the suspects. It's also she who discovers both the dead body of the pilot, Rafford and the body of missing crewman Dortmunn. This, you would think, would make the remaining crew members of the Ortega suspicious of her - she always seems to be around when crew members die - but they don't seem concerned in the slightest. 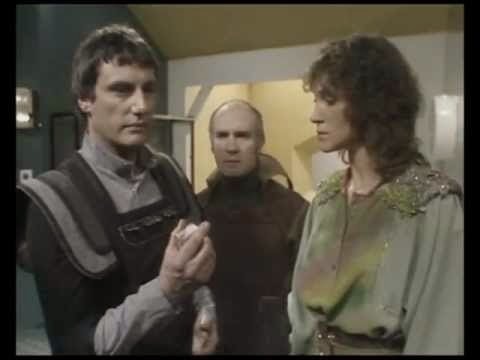 Like 'The Web', 'Mission to Destiny' is an episode that wasn't included in the late-80s compilation videos of Blake's 7 so I didn't see this episode until some point in the 90s. 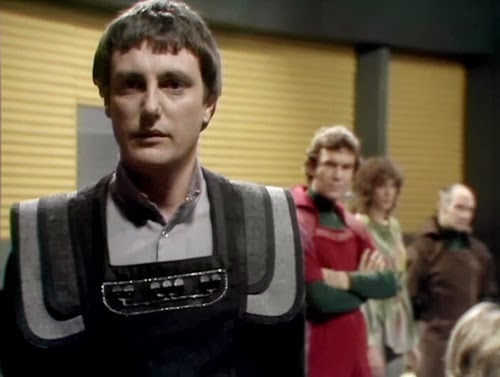 I can see why it was included on the compilations as the episode is little more than filler and does nothing to advance the story of Blake's ongoing conflict with the Federation. But this is actually quite a fun little story even if the mystery itself is fairly straightforward. Indeed the identity of the murderer (who I've deliberately not named in case people want to watch it and find out for themselves) is hidden in plain sight although every effort is made to keep the audience guessing. Being a murder mystery, a gallery of suspects is required and we are therefore presented with the crew of the Ortega. Excluding the two crew members who are quickly killed off early on (Rafford and Dortmunn) we have seven guest characters. So it's perhaps not too surprising that several of those guest characters are somewhat underdeveloped. As everyone is a suspect, we get a number of scenes with various characters acting in a very suspicious manner - even the ones who are entirely innocent. Although this all serves to deepen the mystery it does mean, with hindsight, that some of the actions of the innocent crew members just look downright bizarre. One crew member in particular has a very odd way of trying to chat up women if his actions towards Cally are anything to go by. The team of Avon and Cally work very well here. 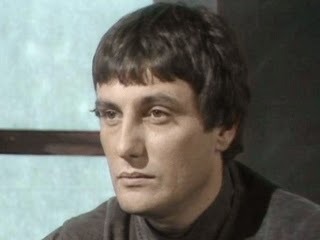 Avon's interest in the challenge of the mystery beyond any actual concern for the well being of the Ortega's crew seems perfectly in character. After weeks on board the Liberator with the likes of Vila he probably welcomes the mental challenge. Cally's motivations for investigating are more pure - she genuinely wants to help these people. She actually does most of the legwork in this investigation, leaving Avon to put all the pieces together.